The T2 translator/Barrier set is a set of 2 Ex Mk1 BSKs that have been converted into barrier/translator vehicles to allow for Electric Multiple units to be hauled by locomotives for services such as stock moves, by using these vehicles as an adaptors when the locomotives couplings and braking systems don’t match. The T2 set is Fitted with Tightlock Couplers and the necessary electrical & pneumatic connections along with the required equipment to translate between the different systems. 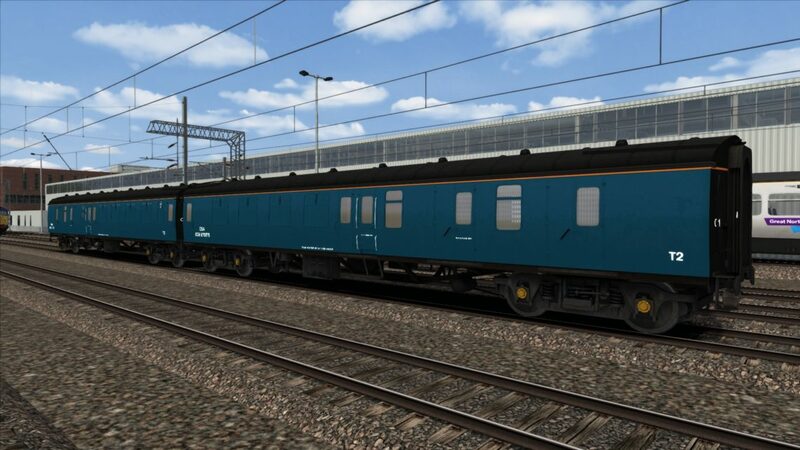 The coupler bins on this reskin have been edited to work with as many trains as possible in train sim that are fitted with Tightlocks.